The Type 58 is a Chinese tier 6 medium tank. The U.S.S.R. exported a total of 1,800 T-34-76 and T-34-85 tanks to China. 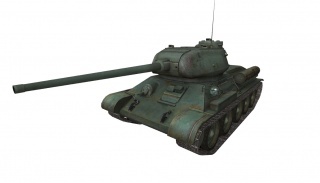 In 1954 the Chinese government made the decision to begin domestic production of the T-34-85 in 1958, with the new vehicle designated the Type 58. 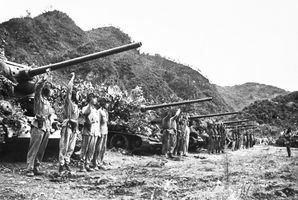 However, production was never initiated, and the Chinese army settled for modifications to the Soviet-made T-34s. Bootleg T-34-85 from China, it shares similarity to its bootleg predecessor. It only has 2 guns that don't make much difference. Useless when bottom tier, and its modules can get damaged often. But many characteristic are ripped from T-34-85 and it still makes it a capable opponent to face in tier 6 match. The Type 58 leads to the IS-2, and the T-34-1. Gun depression is worse than on the T-34-85 by -2°; accuracy, penetration and shell velocity are all worse too. The top gun is practically still the same but a bit more accurate, barely an improvement. Way weaker engines than the T-34-85, takes long to accelerate. Probably one of the worst tier 6 mediums due to less potential in various battles, one of the strongest points of the Type 58 is its adequate stock grind. Whereas other mediums in stock configuration must deal with subpar weapons, the Type 58 starts with an 85mm that is identical to its top gun in damage, ROF and aim time. Its engine is only 20hp weaker than the top engine, and its stock tracks are more maneuverable than its Russian counterpart's fully upgraded tracks. 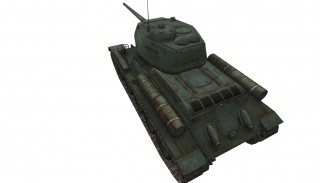 As such, the Type 58 in stock performs largely the same as its fully upgraded configuration, a blessing and a curse. Be aware that the stock gun, while packing good alpha, is inaccurate and has a tendency to shoot into the corners of the reticule. Your armor, while surprisingly bouncy at times, will suffer if it comes into contact with the 122mm guns of the IS series, so never rely on your armor to protect you. Be aware of the limitations of your dismal gun depression, which prevent you from assuming hull down and makes it unsafe to climb hills. Compared to it's Soviet counterpart, the T-34-85, the Type 58 trades 16 less penetration, 20 less alpha damege, much shell velocity and .01 accuracy for better agility and ROF. With the same 128 penetration as the M4A3E8, it should be played like one. Flank enemy heavies when possible and put your high DPM to good use. Its high DPM also gives you an edge while dueling with other tier 6 medium tanks. The Type 58 in its stock configuration performs largely the same as its fully upgraded configuration, so there is really no way to go wrong here. First research the tracks to make the most of your maneuverability. The gun comes next, adding much-needed accuracy to an otherwise robust gun. The radio will allow you to properly fulfill your role as a flanker, so research that next. The middle engine adds no HP and only reduces the likelihood of fire, while the top engine adds an underwhelming 20 hp. However, the top engine is also the top engine on T-34-1, and researching the engines on the Type 58 circumvents the need to use the even more inadequate stock engine on the T-34-1. 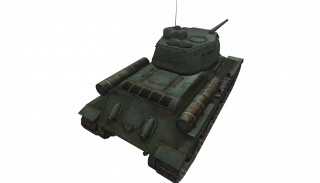 If you are going up the chinese medium tank line, the 85mm 56-85JT is required for researching and mounting the next 2 tanks' top turrets and also guns. It is highly recommended to research and grind this tank if you are planning to go up the chinese medium tank line. 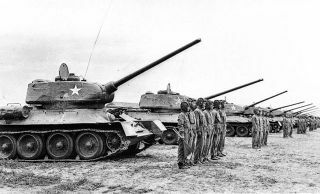 In the early 1950s the U.S.S.R exported a total of 1,800 T-34-76 and T-34-85 tanks to China. 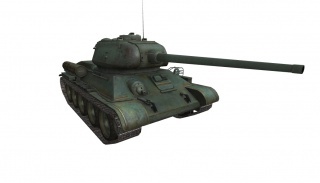 In 1954 the Chinese government made a decision to begin domestic production of the T-34-85 in 1958, with the new vehicle designated the Type 58. However, mass production was never initiated, and the Chinese army settled for modifications to the T-34s. Limited number of domestically made Type 58 tanks were produced, although it is not clear in what percentage were those tanks Chinese made, as they shared a lot of spare parts with Soviet made T-34 tanks, which were available at a very low price and in large numbers. At the time of the production, Type 58 was completely obsolete. 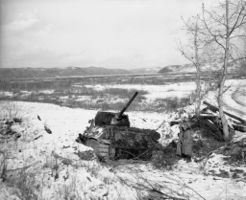 Chinese T-34/85 wreck at Chosin Reservoir, Korea. This page was last modified on 23 September 2018, at 16:29. This page has been accessed 201,559 times.